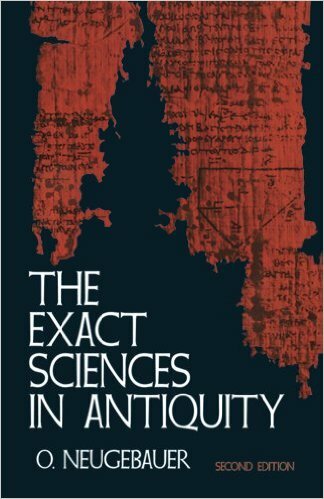 March’s Book of the Month is: The Exact Sciences in Antiquity by Otto Neugebauer. 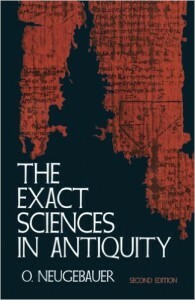 Second edition published in 1957 by Brown University Press, now republished by Dover in 1969. Commentary adapted from the Amazon website, see this link for further information: Based on a series of lectures to non-experts 1949, this is the standard non-technical coverage of Egyptian and Babylonian mathematics and astronomy. It reveals that the Babylonian strength in algebraic and numerical work is comparable to the mathematics of the early Renaissance in Europe. In the realm of astronomy, it describes a sophistication which is interpreted less as the result of millennia of observations (as used to be the interpretation) than as a competent mathematical system. An Appendix discusses certain aspects of Greek astronomy and the indebtedness of the Copernican system to Ptolemaic and Islamic methods.